Here's everything we'll cover regarding JetBlue's baggage policies. Luggage fees are per person and per leg of the trip. They increased in August 2018. 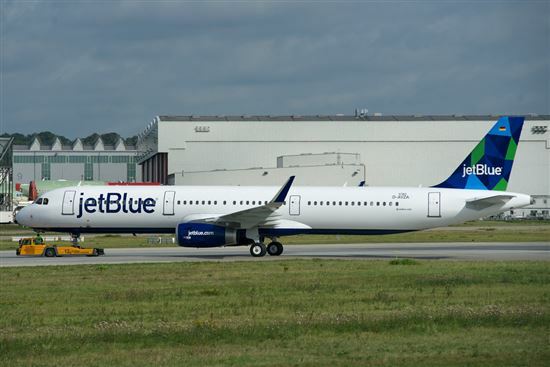 Though they focus on major East Coast areas, JetBlue Airways services over 100 airports in the United States, Mexico, the Caribbean and South and Central America. 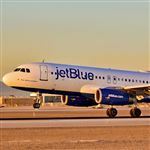 JetBlue does not belong to any of the three major airline alliances. Bringing carry-on luggage only can be a great way to save some money on baggage fees. Each passenger can bring one carry-on and one personal item. Carry-ons must be under 22" x 14" x 9" and fit in the overhead bin or under the seat in front of you. Those dimensions include the handles and wheels. Currently, JetBlue does not impose any weight limits on carry-on baggage. Personal items need to be under 17" x 13" x 8" and must fit under the seat in front of you. Travelers bringing aerosols, gels, and liquids in their carry-ons must adhere to the 3-1-1 rule. Each passenger is allowed to bring these items, but each must be less than 3.4 ounces and packed in one clear, 1-quart plastic bag. Check out the section Restricted Items below for a full list of items not allowed on JetBlue flights. Want to avoid baggage fees? We'll show you how below. One way to avoid some baggage fees with JetBlue is applying for the JetBlue Plus Card. 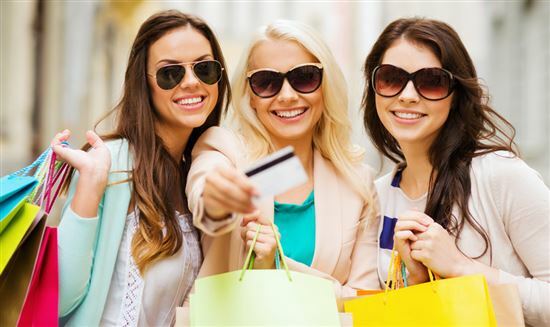 This credit card comes with many benefits, including one free checked bag for the cardholder. Even with a Plus Card, you still have to pay overweight and oversized baggage fees. The benefit also extends to up to three travel companions traveling on the same reservation. You have to book the flight with the JetBlue Plus Card to receive the free baggage benefit. Become an elite member: By earning 15,000 base flight points in a year or 30 segments plus 12,000 base flight points, you can become a Mosaic member. This elite membership comes with two free checked bags, saving you hundreds in baggage fees. Travel with just a carry-on and personal item: Pack light and save money. Remember, JetBlue does not charge for carry-on bags and personal items. Those flying with a Blue Flex or Mint ticket receive two free bags, with the third bag and any additional bags coming with a fee of $150 each. Be active military or a dependent: To show their support for the U.S. military, JetBlue offers reduced fares and baggage fee waivers. U.S. military personnel and their dependents can take up to five checked bags for free (up to 99 pounds each) when traveling on military orders. When traveling for leisure, they can have two free bags per person up to 50 pounds. Military members have to show military ID when checking in to get the free bag benefit. Veterans who enroll in the Veterans Advantage program with JetBlue receive a 5 percent discount and two free checked bags. Measure your bags ahead of time: All JetBlue ticket counters and gates have bag measurement sizers to check the size of your bag. This will save you from oversized fees for bags that are too big. It will also help you avoid checking your carry-on at the gate because your carry-on is too big. Or, you can weigh and measure your bags at home with a luggage scale. Take advantage of packing tips and tricks: Rolling up clothing, using vacuum-sealed bags, and wearing as much as you can on the plane can save you space in your luggage. When planning your outfits, choose versatile pieces that you can mix and match, limiting the number of items you need to pack. Purchase a lightweight suitcase: Buying a new, lightweight suitcase can help cut down on the chance of being overweight and paying the extra fees. Many new suitcases also have flexible storage spaces that allow you to pack more efficiently. Ship your luggage: Consider sending your luggage ahead of you through FedEx, UPS, or the United States Postal Service. Numerous companies, such as LugLess and Luggage Forward, specialize in shipping luggage, with fees varying depending on size, weight, distance, and how soon you need it to arrive. Condense luggage: Families traveling together can avoid luggage fees for each person by condensing all their belongings into just one or two bags. Since car seats fly for free, purchase a car seat bag and fill it with the car seat, as well as other belongings, saving you some room in your suitcase. 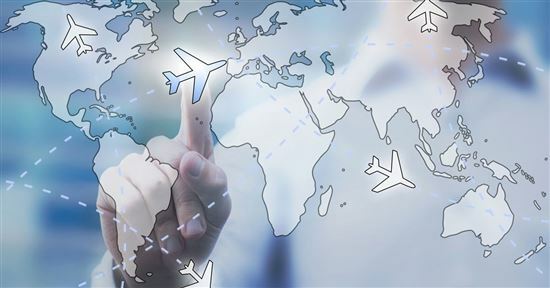 You can complete online check-in 24 hours before your flight. If you check-in and pay your baggage fees online, just take your bags to the check-in counter. They'll scan your boarding pass, weigh your bags, and print out your baggage tags for you. You can also check in at the airport using one of the check-in kiosks. Use curbside check-in to avoid the ticket counter. They charge $3 per bag for curbside check-in plus any excess, oversized, or overweight bag fees. Curbside check-in accepts credit card only. When checking luggage, you must be checked in and have your bags at the ticket counter at least 40 minutes before your flight departs. For international flights, you must be checked in and luggage handed over to the airline at least 60 minutes before departure. While checking in early is recommended, you cannot check your bags six hours or more before your flight. Each person must check in their own bags. The exception is families traveling together on one reservation - just one person from that family may check in everyone's bags. FYI: JetBlue gives travelers the option of using their remote check-in program by partnering with BAGS, Inc. The remote check-in program has locations all over the world - at hotels, convention centers, parking centers, rental car centers, and cruise ship ports. You simply drop your bags off at the Remote Check-In Property and pay the baggage fee ($0 to $20, depending on the location) plus any overweight and oversize fees. BAGS, Inc. take your bags to the airport for you. JetBlue considers any bag that exceeds 62" (length + width + height) as oversized. Bags that weigh more than 50 pounds are overweight. Bags that are 63" to 80" (including the wheels and handles) and/or weigh between 51 and 99 pounds come with an oversized fee of $150 per bag. Mint ticket customers are allowed two free checked bags up to 70 pounds. JetBlue only charges them the overweight fee of $150 when their bag is 71 to 99 pounds. JetBlue cannot transport any bags bigger than 80" and heavier than 99 pounds. If a customer's bag is the third (or fourth, fifth, etc.) bag, is overweight, and is oversized, JetBlue charges them all three fees - excess, overweight, and oversized. Keep reading for restrictions on luggage in specific areas that Jet Blue travels. 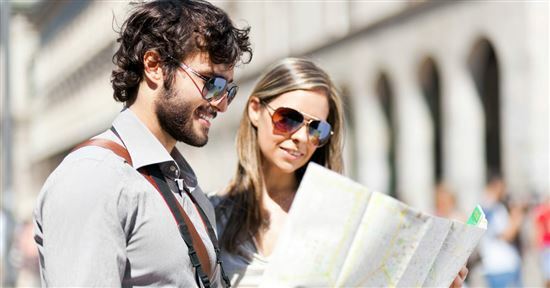 Depending on your travel destination, you may be required to follow additional guidelines set up by that country or city. Cuba: Each passenger is allowed up to five bags or boxes. From mid-November through mid-January, they can only check three bags or boxes per person. Bags and boxes must be less than 80 inches and fewer than 99 pounds, and all boxes must be factory-sealed. Dominican Republic, Haiti, and Trinidad & Tobago: Passengers are only allowed two bags, which must be under 62" and 50 pounds. 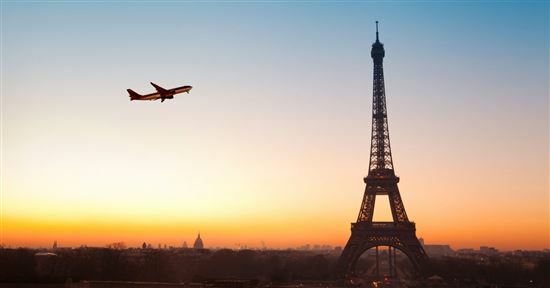 No overweight or oversized bags are allowed on flights to and from these destinations. Peru: When traveling to Peru, passengers are allowed a maximum of two bags. Bags cannot be heavier than 70 pounds or larger than 62 inches. Any bags over 50 pounds are considered overweight and incur overweight fees. JetBlue does not accept boxes as checked luggage on any international flights except those to or from Cuba. Sometimes you may travel with luggage that doesn't fit the general guidelines. Athletes and musicians often travel with their equipment. To be sure it travels safely, JetBlue implements additional guidelines for sporting goods, musical instruments, and other special items. Firearms: All firearms have to travel as checked baggage. You must be at least 18 years old to check a firearm and the firearm should be unloaded and locked in a hard-sided container. Any ammunition cannot go in the same container but has to go in its own container and has to be less than 11 pounds. JetBlue sells pistol cases at the ticket counter for $50 if you don't have your own traveling case. Musical Instruments: Small musical instruments, like violins and guitars, can travel in the cabin as your carry-on as long as it fits in the overhead bin. If you need to travel with a large instrument that doesn't fit in the overhead bin, you'll need to purchase a seat for it. Bicycle: $100 additional charge; must be packed in a hard-sided, padded case or packed in such a way that the handle bars are secured sideways and pedals removed. No overweight charges apply to bicycles, but oversized charges do apply. Surfboard: $100 additional charge; must be packed in a hard-sided case and weigh less than 100 pounds. Windsurfing and Kiteboarding Boards: $100 additional charge; can only have aluminum wishbone-style boom with one mast and one sail, packed to protect it from damage. Smart bags: You must remove the battery when checking a smart bag. Spare batteries are only allowed in carry-on bags (up to two per person) and must be put in a protective case or bag. Alcohol: Only allowed in checked luggage, unless you purchase after going through security. Any alcohol brought on board must in the original retail package and not more than 70 percent alcohol by volume. Each person is allowed five liters. The same guidelines apply to alcohol in checked luggage. Unlike most other airlines, JetBlue allows passengers to bring unopened wine, champagne, or beer onboard to drink during the flight. Inverters: They must be under 100 watts, not connected to any devices and in the "off" position. Passengers can also bring on board crutches, canes, walkers, braces/prosthesis, and wheelchairs. Sometimes you may have to use a medical item in flight. As long as they are battery operated with a non-spillable battery, passengers can use hearing aids, inhalers, insulin pumps, pacemakers, breast pumps, continuous positive airway pressure machines, orthopedic positioning devices, and portable oxygen concentrators during flight. 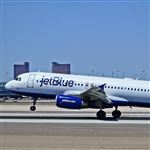 Using guidelines from the Federal Aviation Administration and the Transportation Security Administration, JetBlue completely restricts certain items for air travel. Checked car seats do not count toward your checked bag allowance and fly for free. If you don't want to bring it on board, JetBlue will gate check car seats, strollers, child carriers, and booster seats for free. As an exception to the 3-1-1 rule, passengers traveling with infants and young children can bring along baby formula, breast milk, regular milk, baby food, and juice in reasonable amounts. These passengers must be sure to declare these items to the security agents during screening. They must also separate them from other liquids, gels, and aerosols that must follow the 3-1-1 rule. When your furry friend accompanies you on your flight, the JetPaws Pet Program assures they travel safely and comfortably. Small cats and dogs can fly with you in the cabin, one per passenger. JetBlue does not transport any animals as cargo or in the luggage hold. Animals cannot fly to/from Jamaica, Barbados, Saint Lucia, Cayman Islands, or Trinidad & Tobago. To book your animal on a flight, visit the JetBlue website or call JetBlue Customer Service. Only four pets can fly on each flight, so be sure to book early to assure your pet gets one of the four spots. Each animal costs $125 per leg of the trip and your pet carrier counts as your carry-on item. The combined weight of your pet and its carrier cannot be more than 20 pounds. From the time you arrive at your departure airport to when you leave your arrival airport, your pet must stay in its carrier, except when doing their business. Most airports have pet relief areas. Soft or hard-sided carrier - no larger than 17" x 12.5" x 8"
JetBlue sells its own pet carrier, specially designed to fit under JetBlue's cabin seats. The pet carrier weighs only two pounds and costs $50. 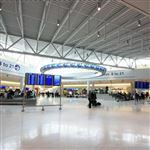 When you arrive at the airport the day of travel, check in at the ticket counter rather than using the check-in kiosks. Your pet will have to go through security as well. Typically, TSA agents will ask you to remove the pet from the carrier so they can x-ray the carrier. Some passengers need extra assistance or support and JetBlue allows service and emotional support animals to fly. Each passenger can bring only one support animal, which can only be a dog, cat, or miniature horse. All the necessary documents are available on JetBlue's Special Assistance web page. Even the best airlines lose bags from time to time. If JetBlue misplaces or damages your bag, they take several steps to remedy the situation. As soon as you realize your bag is missing or damaged, report it to a JetBlue crewmember at the airport or by calling the Customer Baggage Assistance Center. You can also file a claim for a lost bag or item on the JetBlue website. Provide as much information about the item as possible when you file a claim for lost baggage. Make sure to include your flight date and flight number. JetBlue will look for your item for 30 days, sending email updates during that time and one final email if your item isn't found. If they do find your item, you'll be sent a link to the shipping checkout bag. After you file a report, you can check on the status of your bag online or by calling Central Baggage Services. Don't want to mess with your luggage once you reach your destination? Partnering with BagsVIP, JetBlue offers baggage delivery service. 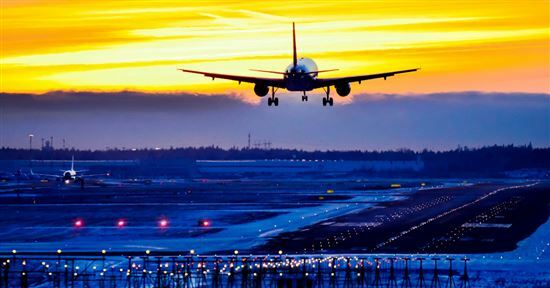 If your destination is within 40 miles of the airport, BagsVIP delivers within four hours, and six hours for destinations 40 to 100 miles from the airport. BagsVIP fees are $29.95 for 1 bag, $39.95 for 2 bags, and $49.95 for 3 to 8 bags. Price is per bag and does not include $1/mile fee for destinations beyond 40 miles. JetBlue's traveling fees are straightforward and easy to understand. They charge $30 for the first bag, $40 for the second, and $150 for the third bag and beyond. You can avoid paying checked bag fees in several ways, including becoming an elite member, being a JetBlue cardholder, and purchasing a higher class ticket. Leave a comment about JetBlue Baggage Fees?